Costas Simitis for the money. I am baffled by what Tsipras is doing. It only makes sense if he is conning the Germans into giving him an additional $80 billion -- so that he can renege on repaying $460 billion later. "I am baffled by what Tsipras is doing. It only makes sense if he is conning the Germans into giving him an additional $80 billion -- so that he can renege on repaying $460 billion later. " I'm pretty sure thats what the Germans think he is doing too, hence they're only trickling the money in. 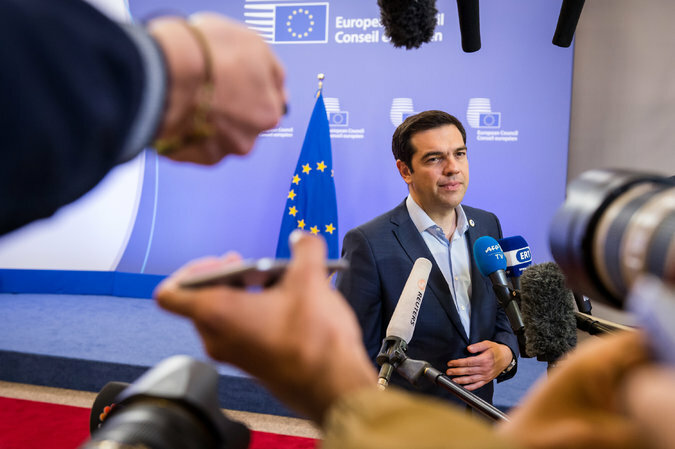 Chances are some of the reforms they want will pass, Tsipras will get kicked out of office, and the new government might actually stick to an austerity plan, and now with the hardest reform hurdles already overcome. That is, of course, if it doesnt all just go to hell with a messy Grexit, which is just as likley as anything else.